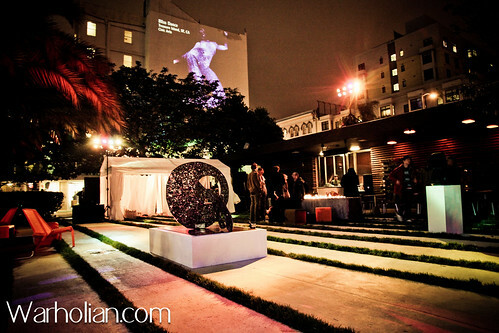 ArtPadSF Opening Night Preview Photos – by Michael Cuffe for Warholian, a photo by WarholianPics on Flickr. OMG…This is a photo from our event last night, “A Private Preview of ArtPad SF: A Benefit for the Black Rock Arts Foundation”. This photographer, Michael Cuffe for the Warholian, one of my favorite blogs, captured the venue, the Phoenix Hotel with our BRAF slide show on the building next door, and the photo is of Bliss Dance, who was just installed on Treasure Island last week. Lots of photos to come. Watch this space.